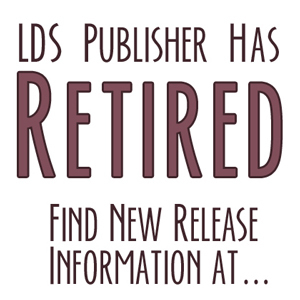 Hello, [my trilogy] was just turned down by deseret publishing on my first book of this project. I’m 75% done with the second book and will then immediately complete the third of the trilogy. There has never been books like these as they are unique and experientially based. Can you help me? It is not at all uncommon to be rejected on your first book and by the first publisher you contact. Don’t give up. The most common reason books are rejected is that they are not a good fit for the publisher. Read the publisher’s submission guidelines carefully. Make sure the publisher you are submitting to is interested in your genre and topic. Make sure they publish things similar, but not the same as what you’re submitting. The second most common reason for rejection is that the book is just not quite publication ready. Get some critiques on your manuscript. Join a critique group with experienced writers. Go to some conferences that offer critique sessions. Make sure your book is as good as it can possibly be. The third most common reason for rejection is your query letter isn’t quite up to what it should be. Saying things like, “There has never been books like these as they are unique and experientially based,” is not really very helpful. Unique how? What specifically do you meant by “experientially based”? Is that experiential component going to add to the cost of creating the book? That might be an issue (or not). And I can guarantee, the publisher/editor/agent is going to have seen something like it before. Do your research and keep submitting. Good luck! I’d like to add that “There has never been books like these as they are unique and experientially based” is a TERRIBLE sentence, and I’m sure many publishers reading it would dismiss the book because the person obviously doesn’t know basic grammar. The sentence is too long; it should says “There have never” and I’m not even sure “experientially” is a word. Also “Unique” implies “There have never been books like these” so it is unnecessary, and the writer is assuming something when they have absolutely no way of knowing whether it is true or not. There are places on the net that can help. Check out Absolute Write. It is an online forum that allows you to post your work. It can be brutal so it isn’t for the faint of heart. They also have advice for writing query letters. There are a lot of books about writing. They cover everything from grammar to plotting. LDStorymakers is coming up but space is limited. I went to it last year and learned so much. If you are serious about writing, it is a must. I second all the great advice that has been offered. I don’t personally write trilogies (at least not yet) but the advice I’ve heard is that it is better not to write the second and third until the first sells. Otherwise, if the first never sells you’ve wasted your time. It’s good to have the 2nd and 3rd outlined, though. Anyway, just something to think about.